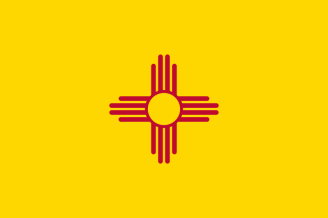 Statewide recording of New Mexico vital records commenced in 1920, eight years after it was admitted as a state in the union. Both New Mexico birth records and New Mexico death records are confidential, released only to family, for 100 years for births and 50 years for deaths. There are with some earlier records available, specifically some delayed birth certificates 1866-1895 and some death certificates after 1889. The New Mexico Vital Records Division at the Department of Health maintains an index to all the birth and death records available, with search requests made by mail or by person; the actual certificates are filed at the county clerk's office. There is an online New Mexico Death Index Project for records 1899-1940, and the Genealogical Society of Utah has microfilmed 1889-1945 death certificates. Older records to the 1880s may be found at the New Mexico State Archives or the State Library. Note: All requesters must sign and date the request. It is a felony to obtain a record fraudulently. Record Access Requirements: Records available only to immediate family members or those demonstrating legal tangible interest in the desired record. Sealed records (e.g. adoptions and paternity) are unavailable. Search Note: Signature of requester and physical & mailing addresses are required. Record Access Requirements: Only immediate family member or a person with tangible interest can receive record. Note: Age at death and name of mortuary must also be included for search.